"You're one of the realest people I think I've ever met." The Film Arcade has revealed the first official trailer for indie comedy The Long Dumb Road, which premiered as the Closing Night film at the Sundance Film Festival earlier this year. The film stars Tony Revolori (from The Grand Budapest Hotel) as a boy leaving home to drive cross country towards college. He decides to give a ride to a stranger he randomly meets along the way. The two both find themselves at personal crossroads and decide to embark on an unplanned road trip across the American Southwest, ending up in all kinds of trouble. Comedian Jason Mantzoukas co-stars as Richard in this, along with Taissa Farmiga, Ron Livingston, Grace Gummer, Casey Wilson, Pamela Reed, Ciara Bravo, and Cynthy Wu. It's a fun road trip film, as mildly amusing as it looks here. 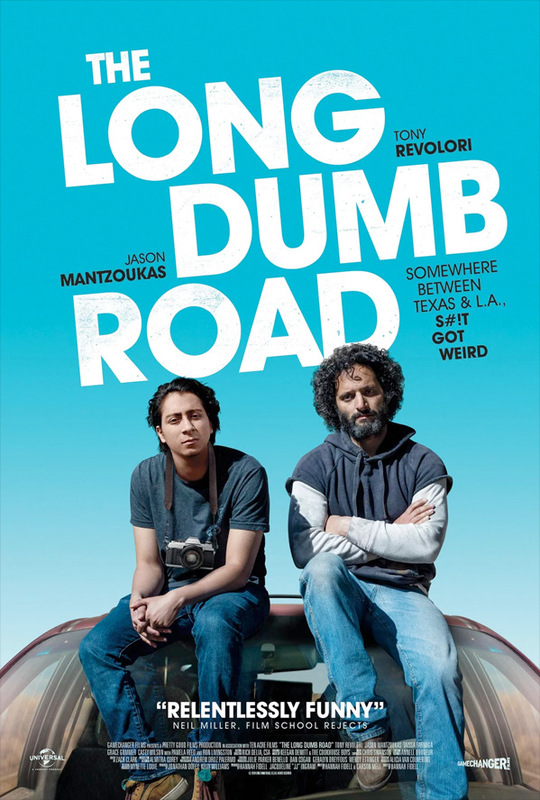 The Long Dumb Road tells the story of two very different men (Tony Revolori and Jason Mantzoukas), at personal crossroads who meet serendipitously and take an unpredictable journey through the American Southwest. At once comedic and honest, the film explores how differences in class, race, age, and life experience divide us, and how they can ultimately bring us together. The Long Dumb Road is directed by American filmmaker Hannah Fidell, director of the films We're Glad You're Here, A Teacher, and 6 Years previously. The screenplay is written by Hannah Fidell & Carson Mell. This first premiered at the Sundance Film Festival earlier this year, and has also played at the Newport Beach, Seattle, and LA Film Festivals. The Film Arcade will release Fidell's The Long Dumb Road in select theaters starting November 9th this fall.